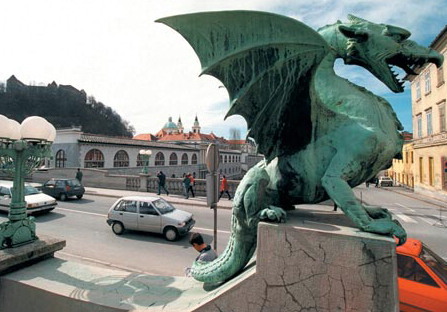 Ljubjlana, Slovenia. 12 March 2009. Small and Medium-sized Enterprises (SMEs) are at the heart of the European Tourism Industry. It is well-known that they have a great capacity for adaptability and innovation. This one-day workshop, marking the launch of a new EU-funded SME network initiative led by ENAT, will focus on how SMEs can address accessibility in their business, thus making them more competitive as well as sustainable over the long-term. At a time when many parts of the tourism sector are feeling the effects of recession, small tourism enterprises are looking for new market opportunities and ways to improve the quality of their offers. Business analysts and accessible tourism experts from Italy, Slovenia, Sweden and the UK will present case studies, focussing on how smaller enterprises can make their products and services more accessible and therefore more attractive to a wider range of clients. Speakers will also include Janez Sirše, Slovenian National Tourist Association, Cveto Uršič, Director General of the Directorate for Disabled, Ministry of Labour, Family and Social Affairs, Slovenia and Mrs. Lilian Müller, ENAT President. The workshop takes place at the Chamber of Commerce and Industry of Slovenia, Dimiceva 13, Ljubljana from 10:00 to 15:00 hours. Workshop languages will be English and Slovenian. The event is organised by the Slovenian National Tourist Association, which is a partner in the initiative "Competitiveness for European Tourism for All" (CETA), which is co-funded by The Industry and Enterprise Directorate General of the European Commission. Download the CETA Flyer and Workshop Programme in PDF format (English or Slovenian) from the right-hand panel. Visit the ENAT Resource pages for more information about the CETA initiative.